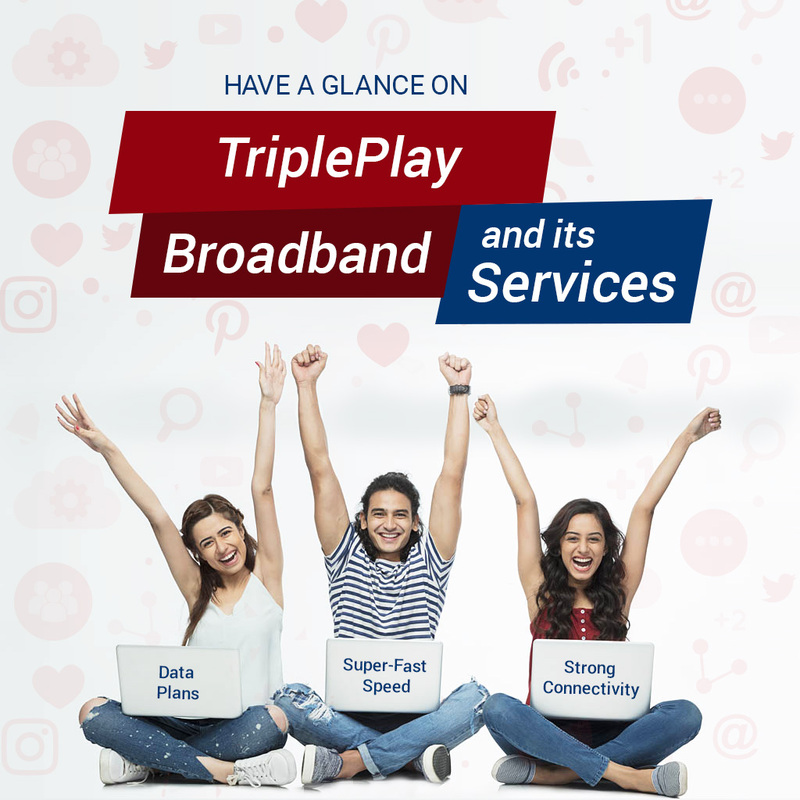 TriplePlay Broadband is one of the best internet service providers in Delhi NCR that allows its users to enjoy fast and smooth web access all the time. In Gurugram, if you search best internet plans on Google search engine, you will find TriplePlay listed among others on the first page. The worth of this service provider can be noticed from the fact that 7 out of 10 homes are currently using the TriplePlay’s broadband connection in Gurugram. If you are one of those users who usually face the issue of slow speed and connection, then TriplePlay is the best option for you. •Super-Fast Speeds: Speed is one of the most important factors in any connection that makes it superior to others. Users always look for better speed in terms of performing their online tasks smoothly and quickly. Understanding the need and requirements of every user, TriplePlay strives to bring latest technologies and methods to provide super fast speed to the users even during peak hours. Due to consistent fast speed, it is a great experience of users to watch online HD videos or live streaming videos. To beat its competitors, it is offering upto100 Mbps speed in a very low price. •Strong connectivity: Connectivity error is a common issue with many connections but TriplePlay has taken this issue very seriously and strived to resolve it with its dedicated team. In its connection, you will find it that it works perfectly even during extreme weather conditions. Strong connectivity enables high speed to your connection which helps to increase your productivity. •Data Plans: The best thing with its connection is the availability of a wide range of unlimited data plans. Due to various data plans, users can choose any of them as per their needs and requirements. You can also switch to any of the data plans at any point of time. You will also find all these data plans quite affordable as compared to plans of other connections. •FTTH: Fiber to the Home (FTTH) is one of the advanced technologies to provide faster internet to the users. Today more than 10 million homes are using this technology across the world. Understanding the need to the hour, TriplePlay has brought this technology in its connection so that users can experience best-in class web access round the clock. •Digital HD Cable TV: Yes, not just web services but users can also get a connection of digital HD cable TV with TriplePlay. Today, it offers more than 300 Digital and HD channels at the cost of DTH. So experience the high definition pictures every time you switch on your TV! •Intercom & Telephony: Joining hands with leading telecom companies like TATA and BSNL, it provides telephone plans to the users through its FTTH network. You can also hire its services for door communication and intercom as well. There are many features like video recording, call individual rooms, hands free and long range wireless intercom associated with its connection. Just select your plan and service at TriplePlay Broadband and enjoy the digital life 24X7!